The Ultima CCM™ indirect calorimeter uses advanced technology and gas analysis to measure subjects in even the most challenging ventilator environments. This includes bias flow, pressure support and elevated or fluctuating fraction of inspired oxygen (FiO2). 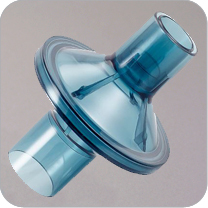 Spontaneously breathing subjects can benefit as well, using one of the system's comfortable patient interfaces which include the preVent® face mask or face tent. The system uses its robust oxygen, carbon dioxide and breath-by-breath analysis to provide highly accurate resting energy expenditure (REE) and substrate utilization subject data to determine appropriate nutritional support. The fully adjustable desktop allows for expansive personal workspace whether the technician is sitting or standing. Measurements can be obtained with breath-by-breath analysis or user-deﬁned averaging. Gas sensors measure both oxygen and carbon dioxide. System is unaffected by ventilator pressure support/pressure control and bias ﬂow. Windowing function excludes non–steady-state data resulting from patient disturbances or test initiation.